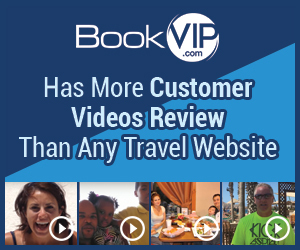 Next review Bookvip - Paid for reservations. Weeks later being told I don't qualify because I live too close to Orlando-I've already booked my non refundable flight!! I called, one day after making my vacation booking, to cancel the booking. They acknowledged my cancellation per phone but would not send me a cancellation e-mail. The next day I called again, requesting a cancellation e-mail. Customer representative refused, said they will have some one call me to talk to me about it. I insisted on a written e-mail stating my booking has been cancelled, so she told me to hold and then hung up on me!!!! Review #593074 is a subjective opinion of User593074.